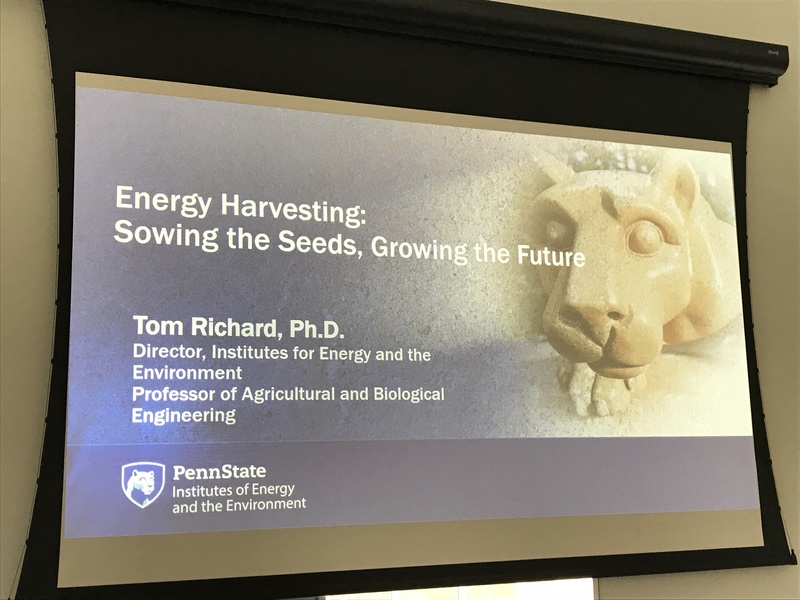 Although my research area is not in the field of energy harvesting, in my role as the campus representative to the Penn State College of Earth and Mineral Sciences, I advise students that are exploring and pursuing careers relating to this subject. I also teach a course that explores energy for non-science majors. This meeting provided me a chance to hear from experts and learn some applications of the technology that I could then pass along to students. Over the three days, the meeting was filled with plenaries, talks, and posters. The 120 attendees were students and professionals from local-to-global locations, including Finland, South Korea, Hong Kong, and the UK. Worldwide, energy has been and remains the fundamental driver of both industrial development and human development. We need an energy structure in place to broaden, increase, and improve the information technology system. We need global sensing, data acquisition and management strategies that integrate both human and natural systems, that address the rapidly changing climate, and that prepare us to shift the industrial engine of carbon emissions into reverse: to rapidly move beyond carbon neutral to negative emissions, which will require harvesting carbon as well as energy at a planetary scale. To move forward in energy harvesting, you need political support. The wealth of information presented at this meeting in such a short time was at times overwhelming but also incredibly exciting. What I valued the most was learning about the applications of energy harvesting technology. Check out this list for a few examples! Laser vibrometry – Vibrations are everywhere and ideal for energy harvesting. The vibrations that naturally occur in the human body are being explored for cardiac pacemakers to power these devices, to minimize/eliminate surgeries to replace batteries and devices. Water turbines as a power source – The U.S. Geological Survey has water monitoring sensors to track properties from streamflow to temperature and chemistry. Currently, there is only one water sensor for every 200 miles of streams, which is not an adequate network for exploring impacts of extreme weather events (as an example). The ideal locations for many stream stations are in hard to reach locations for power and network connectivity. In addition, human intervention for battery replacement is inefficient, and powering by solar harvesting becomes inefficient in the low light of canyons and dense forests. 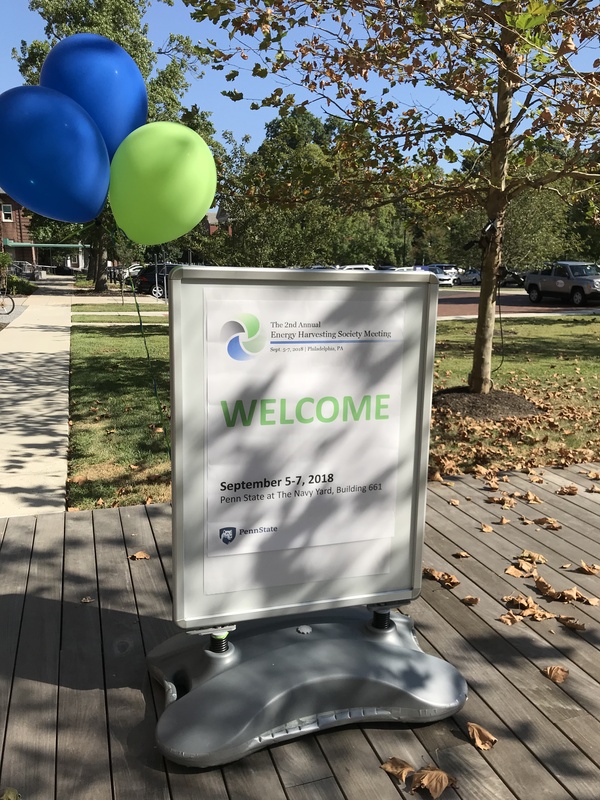 I look forward to this work from the University of Virginia to see how they can utilize the natural flow of water to power these critically-important stations! Reducing backpack payload forces while generating electricity – Virginia Tech researchers are examining the situation of the average modern soldier, who carries around 100 pounds of equipment on a 72-hour mission, of which 16 pounds are batteries. If a portion of this wight could be eliminated, a soldier would require less energy moving equipment, making them less fatigued and more agile. Having backpacks that can harvest energy while a soldier is moving is an exciting development. 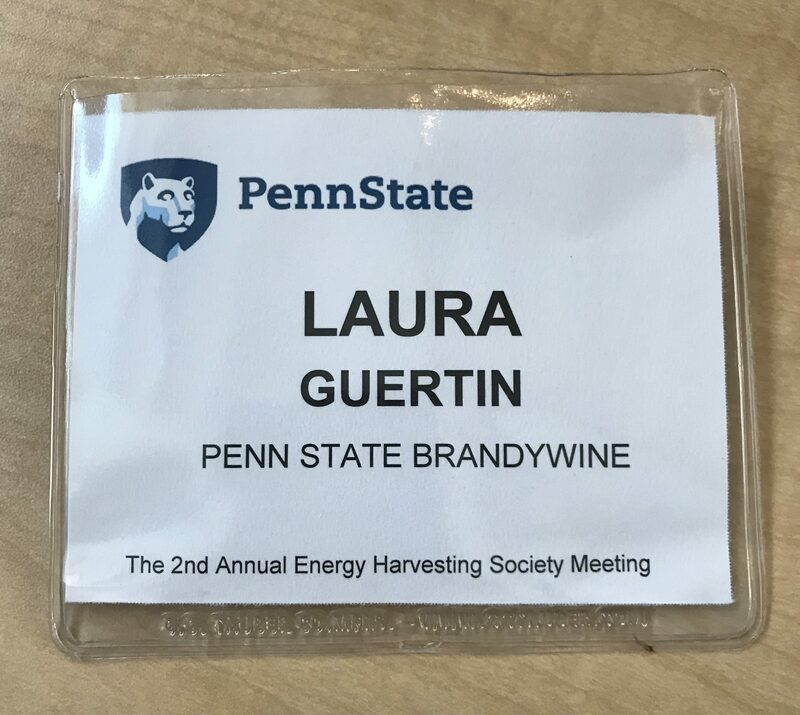 Wearable coolers and body heat harvesters – Yes, let’s not forget the work being done at Penn State. The Materials Science and Engineering program is looking at smartwatches powered entirely by body heat, and the development of personal heating and cooling bracelets. There is an article at Penn State News that describes some of this work. It will take me some additional time to process all that I learned, and even more time to dive into researching these websites and projects to share with students. 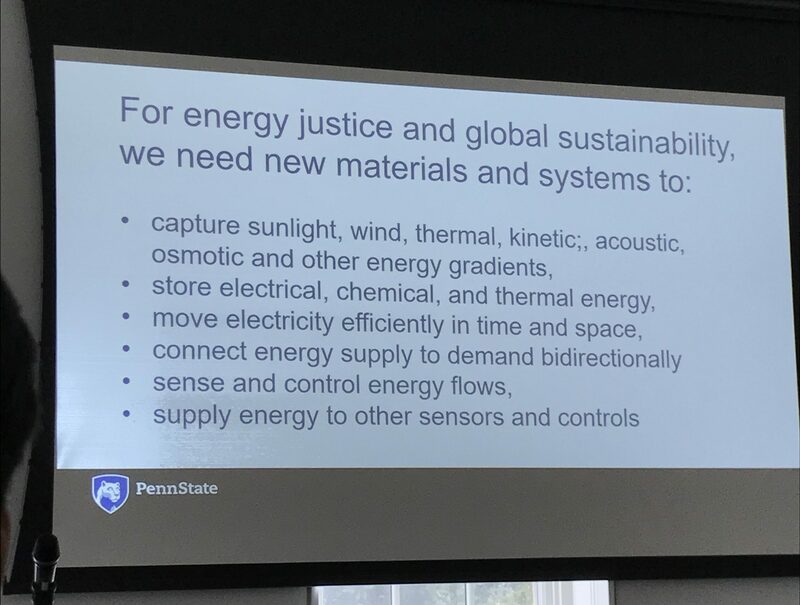 I think this slide from Dr. Richard’s plenary nicely captures what we need to do as scientists and researchers, and why we need to do this for society.